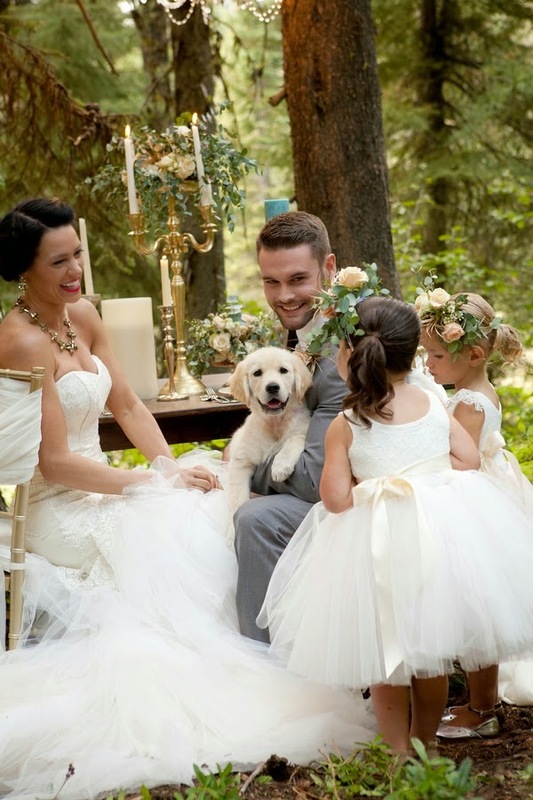 The little girl wedding trend is different and certainly delightful. For those of you considering a wedding with a bit of 'wee chic' I hope these photos from the recent, Styled Shoot In The Woods inspires you. 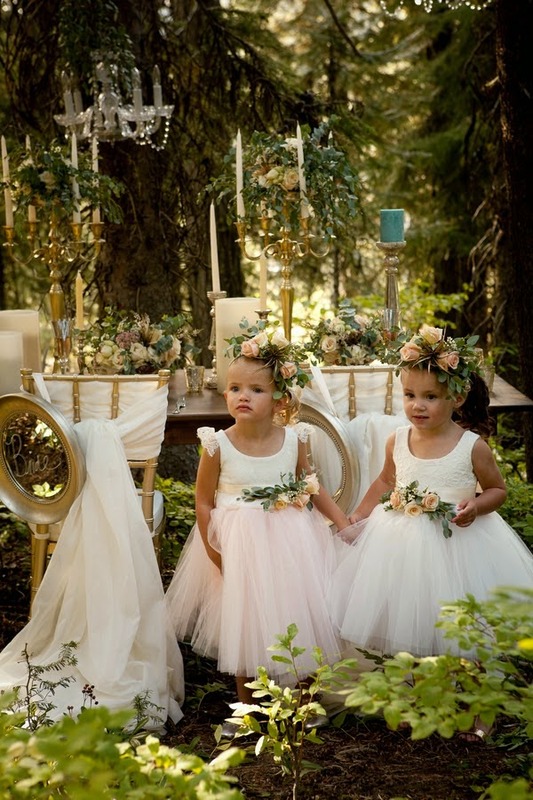 If you're contemplating adding one, two or even more little girls to process down the aisle, really dress them up so your wedding will be all the more special. 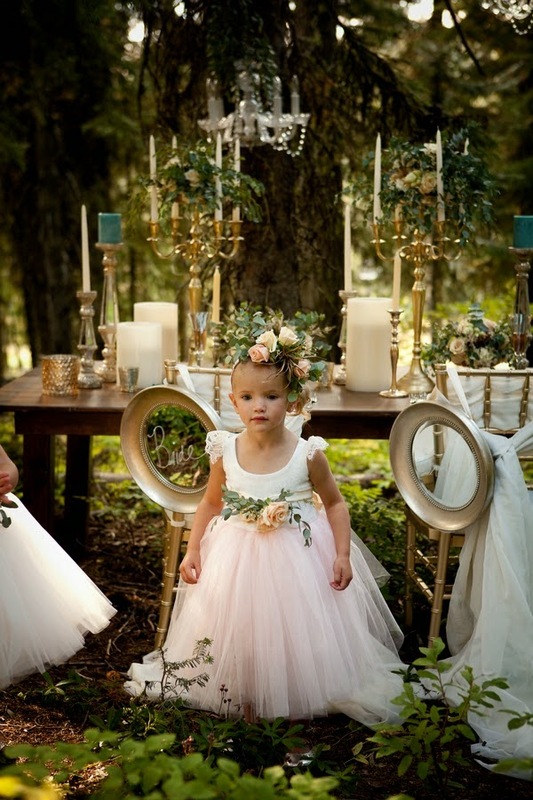 These simple organza dresses are adorned with soft florals echoed in the headpieces and even the table centerpiece . . . .